The first live album was recorded by Uriah Heep in January 1973 when the band played in Birmingham. In the USA the LP was released in April 1973 by Mercury. The album was released in the UK by Bronze Records in May 1973. The recording was made using the Pye Mobile Unit. “Live” was a ‘double LP’ (total time 71 minutes 12 seconds). The cover looked simple (austere, so to speak) from the outside, but inside there was a booklet with the photos and signatures of Uriah Heep’s members. No wonder that the original release became a collectors item. 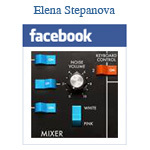 Critics and fans were quite favourable to the album. 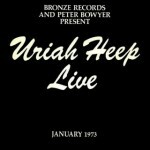 “Uriah Heep Live” charted for 8 weeks in the UK (peak position No. 23) and for 30 weeks in the USA (peak position No. 23)*. “Live” became the third Uriah Heep’s album that reached gold status: RIAA certified it gold on October 12, 1973. Original sleeve notes by Geoff Brown (Melody Maker).